Multiplayer VR FPS Zero Killed Announces Release Date Multiplayer military FPS Zero Killed will be on Steam by the end of September. VR Art Piece to Debut at Brighton Digital Festival Artist Alex Peckham will be debuting VR artwork Forever at Brighton Digital Festival. Offworld Industries and Animatrik Holding Interactive Exhibition Based on Tactical Shooters The event takes place this month and spaces are limited. Firewall Zero Hour is the real deal. We praised the fantastic tactical shooter in our full review, especially when played with a talkative team using a PS Aim Controller, and we can’t wait to see what’s next for the PSVR shooter. Personally, it’s eating up a ton of my free time on weekends and evenings. As you level up you’ll start to unlock better gear that enables brand new strategies you may not have seen in your first dozen or so levels. Specifically, at level 21, you unlock the Signal Modifier. This gadget, which can be taken in place of a grenade slot, can only be used on the Defending team. What you do is place the modifier (a beeping rectangle that looks a bit like a WiFi Router) on a surface somewhere near the laptop. It prevents the Attacking team from hacking the laptop unless they destroy the modifier first. Frankly, it’s a great little device that adds a really tense extra layer to the end of matches as you frantically search for it all around and near the laptop. But just a week removed from Firewall’s launch, players are already finding ways to exploit the device. Since you can get creative with where you place it, you really have to think outside the box as an Attacker. Most of the time you won’t spot it out in the open, but instead hear it behind a cabinet, under a desk, or on a totally different floor of the building. Saving a grenade for that last moment to try and blow it up is a wise strategy. This isn’t inherently a problem though — it encourages creativity — but when combined with the game’s rule that as soon as all Defending players die you’ve only got a minute left as the Attacking team, it becomes a major problem. PSVR Frank alerted us to the issue just last night via DM. This means that, if you’re Defending, an almost fool-proof strategy (depending on the map size) is to place a signal modifier and then immediately have everyone throw down grenades or blow up mines to commit suicide. Now, with all four Defenders dead, the timer is set to only one minute and the Attackers have to bypass the access point, find the signal modifier, destroy it, and hack the laptop — all while starting on the other side of the map. We’re pretty confident that this issue will be addressed, hopefully sooner rather than later, seeing as how the developers at First Contact have already fixed some of the networking issues from the title’s launch week. Have you ran into this issue before? How are you enjoying Firewall Zero Hour? Make sure and check out our tips for getting started and let us know what you think of this issue down in the comments below! The post Firewall Zero Hour Has A Major Signal Modifier Exploit Problem appeared first on UploadVR. The post Samsung Promotes Intelligent Smart Home With Family Guy AR Game appeared first on VRScout. 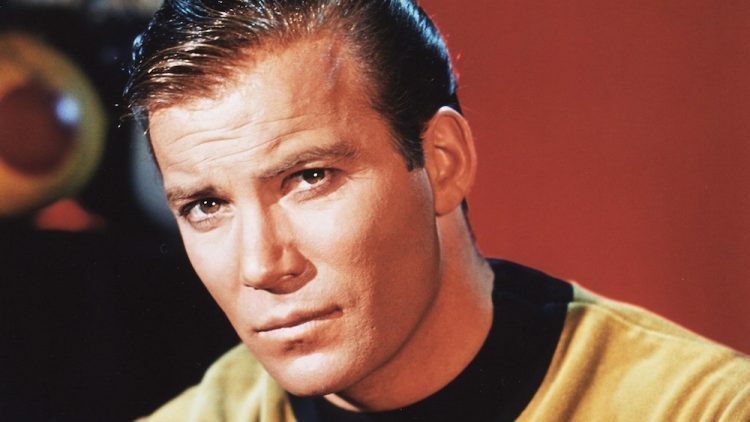 William Shatner’s legacy in science fiction goes back more than 50 years. From TV to film to books to videogames, his voice and visage remain an iconic part of 20th century popular culture. The evolution of technologies that were merely imagined at the start of his career and realities by the end also gives Shatner some interesting perspective. With regard to virtual reality in particular, it is clear Star Trek’s original captain has had some up close encounters in VR that left him concerned about how the technology is used in the future. “It’s so real: it’s the stuff of nightmares … We’ve got to be really careful because you could put somebody into a psychosis,” Shatner recently told The Guardian. Shatner just released a new memoir and spoke about VR in recent weeks with The Guardian. In the book he discusses getting himself captured digitally with “everything necessary to enable technicians to make my image move and speak realistically”. “Shatner will now ‘live’ forever,” he jokes. He also notes how VR capture technology can allow family members to essentially speak to loved ones from beyond the grave. “The possibility of people, prior to dying, a little speech to a virtual-reality camera. Then you could put that by their grave and people who loved them, or were curious about them, could see them in their entirety, in absolute reality … There they are, saying, ‘my darling, I love you’,” Shatner said. For those Star Trek fans out there with a good memory, you’ll recall this basic premise playing out in Star Trek: The Next Generation. In season 4 episode 2 of TNG (“Family”) Wesley Crusher comes face to face with a message from his long-dead father in the Holodeck. The post William Shatner On Virtual Reality: ‘We’ve Got To Be Really Careful’ appeared first on UploadVR. Dark Fantasy Comes To Life In New The Witching Tower Trailer A kingdom is in ruins, the dead have risen and their queen is on the throne. Dare you challenge her? Preview: Arc Surfer – Riding a Neon Wave Futuristic skateboarding without the need to worry about balance. The post Hands-On: PSVR’s Blood And Truth Made Me Feel Like John Wick appeared first on UploadVR. Learn What to Expect In Upcoming VR Shooter Telefrag Armed with a teleport gun, players can take out enemies by teleporting into them. Community Download: Is The Vive Wireless Adapter Too Expensive? Virtual reality is expensive and now that the Vive Wireless Adapter is on sale and available for pre-orders as of today, that price tag is immediately visible once again. Even if you’ve been fortunate enough to get in on the ground floor in these first few years as an early adopter of consumer-grade headsets, you’ve got to admit that the cost of entry (unless you grab a lower end Gear VR or Daydream View with your existing phone) is objectively expensive. If you’ve already got a multi-hundred dollar PS4, it’s still going to cost you almost as much as the system itself to get a PSVR with all of its necessary equipment. And if you’ve got a ~$1,000 gaming PC, you’re still gonna have to drop a few hundred dollars to get a Windows VR headset or Oculus Rift, or even almost the cost of the PC to get a high-end Vive Pro setup. That’s a lot of money. So after you’ve sank hundreds, or even thousands, of dollars getting VR-ready and buying games, if you want to go wireless and unlock even more freedom of movement inside virtual spaces (if you’ve got the space of course) then you need to drop another $300 for the official Vive Wireless Adapter + an addition ~$60 for an extra add-on if you have the Vive Pro. If you got an original Vive on day one and have only bought games in the last 2 1/2 years, $300 may not seem like too much to go wireless, but when you add it all up that’s a hefty chunk of change overall. Plus, pre-orders are now open but press have not been sent review units yet. Hopefully we can give a full assessment prior to its release in a few weeks. Obviously we know why it’s so expensive. Cutting-edge technology always is at first, and then newer, better things come out and drive the price of older hardware down. It’s the circle of life. But the question at hand, even still, is this: Do you think the Vive Wireless Adapter is too expensive at $300? If so, what would be a better price? If not, why do you think it seems reasonable? The post Community Download: Is The Vive Wireless Adapter Too Expensive? appeared first on UploadVR. Augmented art application ‘4th Wall’ launches location-specific, collaborative art exhibition to inspire “thoughtful dialogue.” Originally released February of this year, Nancy Bake Cahill’s art app, 4th Wall, gives users the opportunity to take a closer look at some of the artists captivating pieces of VR artwork from the comfort of their home via AR technology. The post Artists Spread Inspirational Political Messages Through Geo-Located AR Art appeared first on VRScout. AR App Seeks Crowdfunding to Enhance Travel Learn about local points of interest using an AR app called Worldee. Intense Rhythm Action Title Thumper Coming to Oculus Go Tomorrow Hold on to your hats, its going to get bumpy.